Last month, we talked about how some countries plan to kill roaming charges. 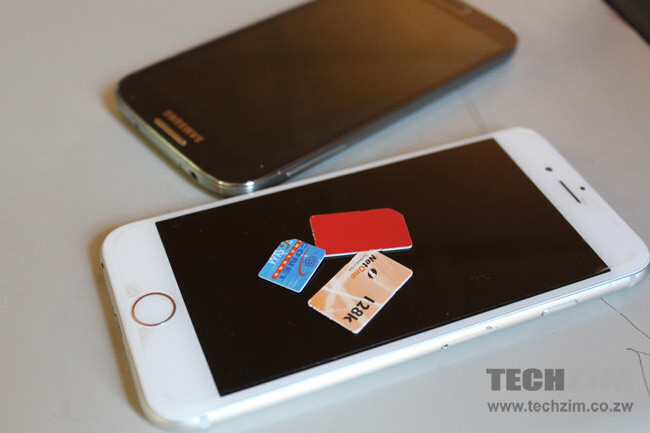 Now, the world leading mobile companies, Apple and Samsung, want to eliminate the need for a SIM card. According to IB Times, the two companies are in talks with, GSMA, the company that runs the GSM telephone system used by most carriers worldwide, to introduce an embedded sim card ( e-SIM). The e-SIM will allow users to change their operator at any moment. It will not be accessible to users as SIM information is programmed on the phone. In the Zimbabwean context, subscribers will be able to switch between Econet, NetOne and Telecel at any moment. Think of it as the hardware solution to the number portability issue that the telecoms regulator, POTRAZ, hasn’t sorted out yet. When can you expect to use this technology? The use of SIM cards is already widespread. In our GSM dominated market, it’s what defines communication for most people.It will take a while for the e-SIM to be available in Zimbabwe. However, it’s been reported that some of the world’s leading cellphone companies have already shown support for the e-SIM. Who knows, maybe in a couple of years, the embedded SIM might dethrone the standard removable SIM card and become the standard. Then we will be able to say goodbye to traveling with 2 phones or dealing with a misplaced SIM card. If you watched the Frontline Documentary you not so kin on the idea as you will be compromising your security further. Interesting to see how Econet will react to this development. They currently will only sell single SIMM devices as it is! Locally Africom has already introduced “sim less” communication technology. They call it Gooroo. You can call any number without a sim card. Yes that also opens up room for next network upgrades required before rollout of the e-SIM technology………..